Commerce Business Daily (1988) President Reagan's Space Policy and Commercial Space Initiative of Feb. 11, 1988, encouraged private sector use of External Tanks by making available ''the expended external tanks of the Shuttle fleet at no cost to all feasible U.S. commercial and non-profit endeavors, for uses such as research, storage and mfg. in space'', CBD announcement, June 1, 1988. Folger, T. (2003) ''Nailing Down Gravity'', Discover Magazine, Vol. 24, No. 10, pp. 34-40. Gimarc, J.A. (1985) ''External Tank Applications in Space Manufacturing'', 7th Princeton/ AIAA Conference on Space Manufacturing, October 1985, AIAA. Global Outpost Inc. (1993) ''Global Outpost Inc. and NASA Enabling Agreement'', No. 1564-001-00A, Rev. 3, 20 April 1993, included a cash deposit for five external tanks on orbit. Griswold, H.R., Stein, D.S. and Redding, F.W.Jr. (1982) ''Integration of a Crewman into a High Performance Spaceplane'', Twelfth Intersociety Conference on Environmental Systems, Society of Automation Engineers, Inc., San Diego, CA. Hallion, R.P. (2005) ''The History of Hypersonics: or, Back to the Future—Again and Again'', AIAA Paper 2005-0329, pesented at the 43rd Aerospace Sciences Meeting, Reno, NV, January 10-13, 2005. Karol, J.M. (1997) ''1996 Space Launch Activities'', ANSER Report SAD 97-1, ANSER, Arlington, VA.
Koelle, H.H. (ed.) (1961) Handbook of Astronautical Engineering, McGraw-Hill, New York. Mobley, T. (1979) ''ET Applications in Space'', study contract for Martin Marietta Corporation, Final Report, Taylor & Associates, Inc., December 1979. Redding, F.W.Jr. (1984) ''Spaceplane Technology & Research (STAR! )'', DCS Corporation, Final Report, DARPA, Order 4913, August 1984. Redding, F.W.Jr. et al. (1983) ''Spaceplane Examination'', SRI International, Final Report, Contract FO4701-8IK-0001, February 1983, Managed by the Air Force Space Division, Sponsored by DARPA (Strategic Technology Office). Shekleton, M., Patel, M., Muravyeva, I. and Steele, K. (2002) ''Space-Based Satellite Service Infrastructure'', Parks College of Engineering and Aviation, Senior Course Design Project Final Report, Saint Louis University, St. Louis, MO. Development Conference, July 2000, Las Vegas, NV. Taylor, T.C. and Cema, P.J. 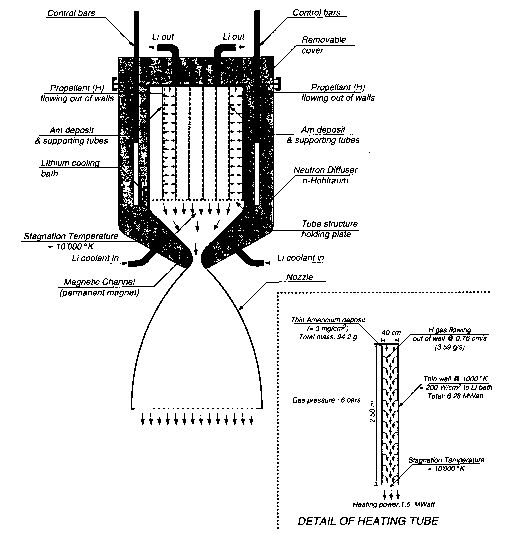 (1988) ''Aerospike for Attachment to Space Vehicle System'', United States Patent 4,790,499, issued 3 December 1988.